After discovering the news that his Mother has taken her life, Saxon Gamble returns home, irrationally plagued by the notion that her death was not a suicide. Saxon, a man of violence, embarks on a revenge mission that shakes up the quiet town of his birth. His quest also awakens a dormant sibling rivalry that puts himself and his brother (Dean) on a collision course with bloody consequences. Caught in the middle is their Father (Leonard), now a Minister, the return of Saxon sends him on a crisis of conscience. While he begins to examine his checkered past and lack the courage of his newly found convictions, his sons remain locked in a battle for his approval and affection. 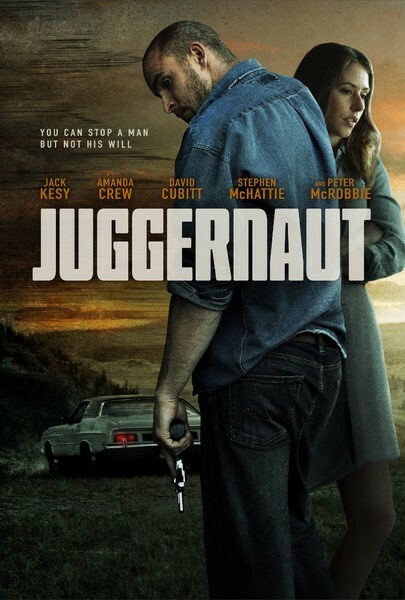 Juggernaut is a story of revenge, obsession and sibling rivalry. An exploration into the dark places family dysfunction can lead to.